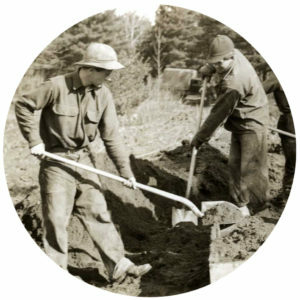 At the peak of the Great Depression, President Franklin D. Roosevelt created the Civilian Conservation Corps (CCC): a federal work relief program that, from 1933 until 1942, put 3 million unemployed young men to work building and restoring America’s natural resource infrastructure. In exchange for their labor, participants received $1-per-day, regular meals, housing, and access to education. The CCC members drastically improved America’s public lands, planting billions of trees, constructing campsites, building thousands of miles of trails and roads, and undertaking other endeavors to develop our park systems. While the CCC was officially disbanded in 1942 when the U.S. entered World War II, the concept lived on in the nation’s heart. 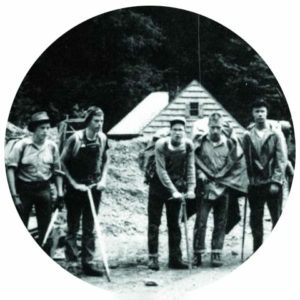 The model of the CCC was revived in 1957 when the Student Conservation Association (SCA) placed its first college students as volunteers in national parks and forests. Just over a decade later,the SCA model was used as the basis for legislation that created the Youth Conservation Corps (YCC). At its height during the mid-1970s, the YCC enrolled some 32,000 young people each summer in programs operated by the Departments of Interior and Agriculture, as well as by states. 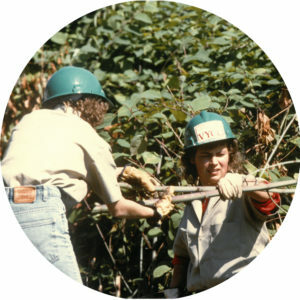 Late in the 1970s, an even larger federal program was launched, the Young Adult Conservation Corps (YACC), which provided young people with year-round conservation-related employment and education opportunities. Both the YCC and the YACC were virtually eliminated in 1981 due to federal budget reductions. By that time, however, the value of Corps had been proven and many states had begun to support these programs directly. California became the first when Governor Jerry Brown launched the California Conservation Corps in 1976. By the first half of the 1980s, state-operated Corps could be found in Iowa, Maryland, Minnesota, New Jersey, Ohio, Pennsylvania, Vermont, Washington and Wisconsin. 1983 saw the birth of the first Urban Conservation Corps with the establishment of several nonprofit programs in California cities. In the mid-‘80s, New York City established the City Volunteer Corps and added a new dimension to the Corps model: engaging young people in the delivery of human services as well as conservation work. Throughout the 1980s, despite the absence of federal support, new state and local Corps continued to spring up across the country. In the early 1990s, the Corps movement saw the first targeted federal funding in more than a decade when the Commission on National and Community Service awarded approximately $22.5 million in grants. These funds were made available under the American Conservation and Youth Service Corps Act of 1990. While only half of the established Corps benefited directly from these funds, the number of Corps programs almost doubled, to just over 100. In 1993, President Clinton signed The National and Community Service Trust Act, which amended the 1990 legislation to provide federal support to many kinds of community service programs besides the traditional Youth Corps. The new law also established post-service educational benefits for participants through the AmeriCorps Program. During the first full year of AmeriCorps, beginning in September 1994, 53 Corps received AmeriCorps grants. To this day, Corps annually engage tens of thousands of AmeriCorps members. The 21CSC is a national initiative to increase the capacity of the Corps movement through expanded public-private partnerships. 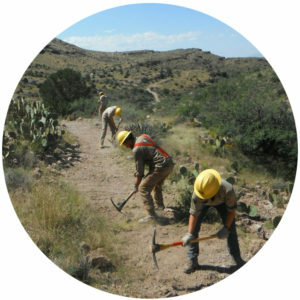 The vision is to annually engage 100,000 young people and veterans in service on public lands. The 21CSC is a bipartisan idea supported by the past five Secretaries of Interior, as well as private businesses and nonprofits. The bipartisan 21CSC Act was introduced in the U.S. Senate (S.1403) and House of Representatives (H.R. 2987) in June 2017. Among other provisions, the bill would give relevant federal agencies and departments enhanced, and less burdensome, ability to engage Corps in completing priority projects. Today, the nation’s Service and Conservation Corps operate in multiple communities across all states, the District of Columbia, and U.S. Territories. To address America’s changing needs, Corps continue to expand into new project areas, like energy efficiency, disaster response and mitigation, coastal restoration, and infrastructure development.